Little had her 30 month developmental check today despite only being 28 months old. I wasn’t sure what to expect, not because of the check it’s self (I know it's a run through of the questionnaire they sent and a few checks to make sure I was telling the truth), but because it was with a Health Visitor I hadn’t met before. I have been rather wary of Health Visitors ever since one told me to leave my 6 week old baby to cry it out. As a tired new mum I lasted 5 minutes before deciding I didn’t care what the expert said, I would trust my instincts instead. So I went into my appointment prepared for a battle as I know my gentle parenting views aren't always popular. "Does she still have a bottle?" Ok I accept that you can have liquids other than formula in a bottle and that breastfeeding a 2 year old in the UK is unusual, but the assumption that a child must have had bottles saddened me somewhat and I don't think it would be too hard to say "Does she have milk from a bottle?" instead. This obviously lead to the revelation that I am still breastfeeding. At her one year check I received a congratulations from the Health Visitor, not so from this one. I got asked if I was happy to still be breastfeeding and "when are you planning to stop?". While her tone was neutral, the questions imply that it isn't something I should want to be doing much longer. I told her I was fine with it, that it was only at bedtime and when she woke up in the morning and that I assumed she would self wean. When this was met with silence I added “I believe children do all wean at some point”. We discussed Little’s diet and her food intolerances. She seemed happy with my approach and that I had tried to reintroduce dairy which lead us on to potty training. Health Visitors seem very keen that children should be potty trained. I know that my eldest was unusual in her decision to one day wear pants and was instantly potty trained, but I do think that children need to show a readiness or it’s pretty hard work. I said Little didn’t currently know when she needed to go, but that she could go when encouraged to. It was suggested it would be a shame to let the summer pass without taking advantage of the garden and warm weather to potty train her. I’m sure she’ll enjoy the opportunity to run around the garden naked whether or not she ends up saying goodbye to nappies. The Health Visitor was happy enough because she could tick a box to say we had started potty training. The next subject was teeth which was where we disagreed most. It is the Health Visiting teams advice that children should brush their teeth before bed and only have water afterwards. I accept this idea and I don’t give Little food after brushing her teeth, however as already stated I feed her to sleep. It would be rather daft to then wake her up and brush her teeth. The Health Visitor advice basically says feeding children with teeth (so from around 6 month olds) to sleep is wrong, as is feeding them at night. I have read that there is some concern that milk can “pool” around the teeth and cause tooth decay, however sources I trust including Kellymom and the Analytical Armadillo say there isn’t evidence for this. In fact as studies of infant skulls from 500-1000 years ago showed little sign of decay I am pretty confident that extended breastfeeding (which would then have been the norm) is NOT an issue. There is some evidence to suggest that the combination of breastmilk and carbs in the mouth may cause an increase in decay so brushing teeth well before bedtime feed is important. Bottle feeding is also believed to cause problems, so if children are fed to sleep with a bottle it is something to consider. Apparently I was refusing the advice based on an “informed decision” so that's ok. So strong encouragement to potty train and several inferences that breastfeeding should be stopped, but it could have been worse. I still miss the Health Visitor I saw when Little was a baby who always left me with the message: “You’ve got this, but call if you ever need to chat”. 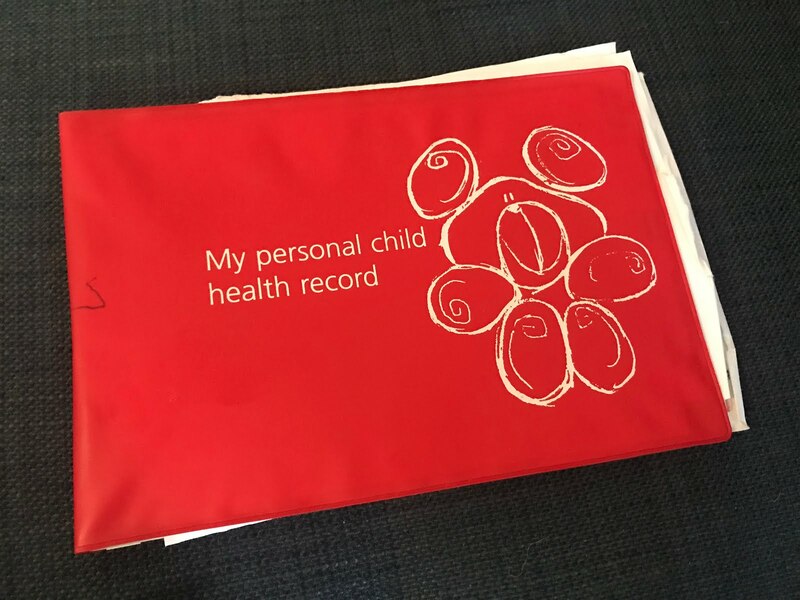 If you want to know more about the 30 month developmental check out this post from Lyndsey about her recent 2 year Health Visitor Review. Thanks for this - definitely helping me prepare for our one (due in a couple of months). What a shame not to be congratulated on still breastfeeding! All that immunity is great for Little! Thanks Katy. Health Visitors are so variable, all parents should walk away from meetings with them feeling congratulated on their parenting because we are all doing a great job, I guess some people are just more supportive than others.